Former Montreal Alouettes running back Eric Lapointe says he is anxious to learn what current ownership's plans are for his old CFL team. The former CFL running back remains interested in putting together a group to purchase the Montreal Alouettes. However, Lapointe needs to know very soon exactly what the franchise’s status is. “It was very brief,” Lapointe said Tuesday. “I sent about 20 questions but he never answered. There were reports last Wednesday the Alouettes were close to being sold. Initially club officials refused comment, but later Wednesday night president Patrick Boivin told fans during CFL commissioner Randy Ambrosie’s visit to Montreal the franchise wasn’t for sale. “It doesn’t stop people from approaching us, talking to us and asking us questions,” Boivin said. “Andrew, as a savvy businessman, listens to them. Two years ago, Lapointe approached the senior Wetenhall’s lawyer about either forming a partnership or selling the club outright to a local group he represented, but was turned down. Lapointe, a 44-year-old Montreal native now working in wealth management, repeated Tuesday he could quickly assemble a potential ownership group if approached but ideally would need to know this week. “It’s not a money thing for my group,” Lapointe said. “It’s more the fact that … there needs to be changes made right away, we need to negotiate a lot of things. There’s also been talk of other groups being interested in the CFL franchise, which can further delay the process. “If there’s people calling (Andrew Wetenhall) it’s easy to say, ’Hey, I’m interested. Let’s see the numbers,“’ Lapointe said. “And then they see the numbers and suddenly they’re not but we’ve just lost another week. The five-foot-11, 208-pound Lapointe starred collegiately at Mount Allison in Sackville, N.B. He was named Canadian university football’s top rookie in 1995 before claiming the Hec Crighton Trophy in 1996 (after rushing for a record 1,619 yards) and ‘98. Lapointe was selected in the third round, No. 20 overall, of the ’99 CFL draft by the Edmonton Eskimos, but joined the Hamilton Tiger-Cats later that season after being released. 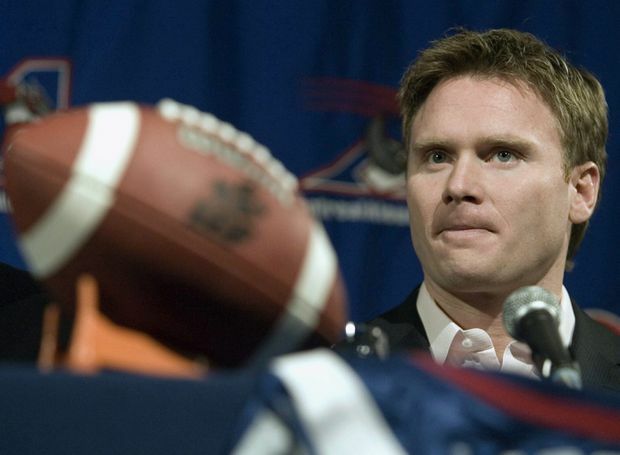 Lapointe was traded to the Toronto Argonauts in 2000, then joined the Alouettes as a free agent in 2001. Lapointe remains confident his group could make the Alouettes work in Montreal but needs to take a serious look at the franchise’s inner workings to determine exactly what it’s dealing with. Lapointe added his investors aren’t interested in losing money or just breaking even. “People that just want to lose money, they’re not in my group,” Lapointe said. “I’m the type of guy that protects assets and actually manages to ensure they go to the second, third generations. Early in Wetenhall’s tenure, Montreal was a CFL powerhouse. From 1999 to 2012, the franchise topped the East Division nine times and played in eight Grey Cups, winning three. But the Alouettes’ last CFL title came in 2010. They’ve missed the playoffs the past four seasons and amassed a dismal 21-51 record over that span.